for adboards – only config.xml is supported, for stadiums that need to REMOVE adboards completely!! 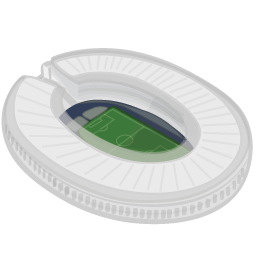 # Stadium assignment to competitions via map_competitions.txt file – use it to connect competition/tournament ID with one or more stadiums from GDB. All teams participating in particular competition can either use identical stadium (if ony one stadium is assigned to that competition) or have one of the stadiums assigned randomly if there’s more than one stadium assigned to that competition. IMPORTANT: by default, competition assignment would always take priority over team assignment in any game mode, but that can be easily configured within .lua script. This enables you to use any stadium from your .cpk pack and additional stadium server’s stadiums side by side. “Random” setting in exhibition mode is going to select stadium either from your .cpk pack or from stadium server’s repository. Complementing this, an additional lua table is available to be customized inside the sctipt (teams_with_cpk_homegrounds table), to customize which teams should keep their .cpk+EDIT assigned home grounds (e.g. Barcelona -> Konami’s Camp Nou, Team X -> Stadium X from your .cpk, etc.). # More/less detailed level of logging – in config.ini file, property “detailed_logging” controls whether more info will be logged to sider log (value “1”) or less info (value “0”). 1. No support for replay mode yet – if you’re going to watch a saved replay of a match that has been played on custom stadium, you’ll see black screen with adboards only during replay at best (perhaps it may also crash the game) – current version of sider does not support replay gallery! 2. adboards handling – by default, stadium server does not allow for custom adboards embedded within stadiums. It works safely only with special blank adboards template (which should be used only to fully remove adboards from stadiums) and allows for supplying a custom version of config.xml database for adboards (to assign blank template to the stadium). Custom adboard models, “baked” directly into stadium 3d model are neither safe nor meant to be used via stadium server – adboards available via global ad-boards system (.cpk files or sider’s live.cpk root) should work well with stadiums from stadium server too! 3. 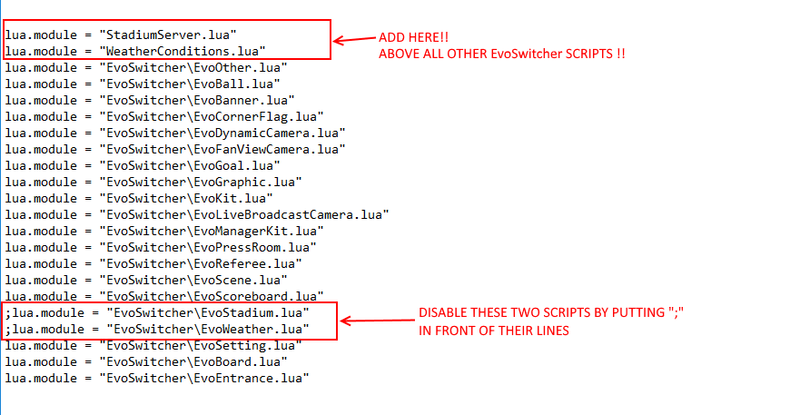 IMPORTANT: cooperation with other .lua scripts that use “set_stadium” and “set_conditions” events – unfortunately, because of the way the stadiums are structured and handled by the game, it was necessary for StadiumServer.lua to use set_stadium event exclusively to force the game to use the exact stadium ID of the new stadium, in order to load all the files that belong to that stadium. Another approach, which would not “steal” set_stadium event (i.e. trying to override the files of any stadium that the game would like to use) did not prove successful, because stadiums simply are not file-for-file compatible, causing various artifacts when trying to replace e.g. stadium using ID 016 with custom stadium using any other ID. Bottom-line – if you want StadiumServer to work, you must not give HIGHER PRIORITY to any other .lua script that also uses “set_stadium” event to change stadium_id (i.e. 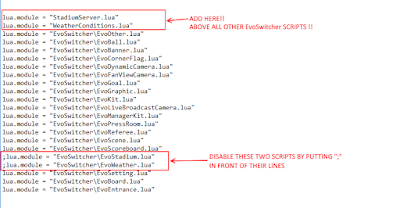 StadiumServer.lua must be above any other “lua.module=” lines for scripts that use set_stadium event too). Using other scripts that control weather conditions and time of day – stadium server works together with @Baris’s script “WeatherConditions.lua” – if weather conditions are NOT changed neither via stadium server itself (manual selection via ingame overlay) nor via cooperation with “WeatherConditions.lua” script, then you can still use 3rd party scripts that handle “set_conditions” event (but to be on the safe side of the story, place your set_conditions related 3rd party scripts below both StadiumServer.lua and WeatherConditions.lua in sider.ini. – Although extracted stadium packs will most likely work without any problems, it would be ideal to use only one stadium per folder in content\stadium-server (but, it will be very inefficient in terms of consuming HDD space). 1. Unpack the v1.0 archive and copy folders content and modules inside your sider folder. Fix download for EvoSwitcher Here. *No Ads Blank Adboard template : Once extracted, template can be copy-pasted into GDB roots.